Do you have the right equipment to do this type of repair? Municipal asphalt repairs may present complex projects for local boroughs and Townships. Although most municipalities have basic pavement maintenance equipment and personnel, many townships do not have the expertise, materials and tools to correct complex asphalt repairs. Here are common questions we address about issues with municipal asphalt repairs and potential solutions. 1. Why Are Asphalt Repairs So Important? A municipality may not have the staff might needed to keep up with asphalt repairs. Most townships and boroughs have personnel that provide basic maintenance services such as pothole repairs, street cleaning and unclogging storm drains. Unfortunately, when it comes to larger repairs to address more serious damage such as loss of pavement and substrata due to erosion, damaged pavement to due car or truck fire and major sinkhole or inlet collapse, municipalities need more resources to resolve these issues. 2. How Many Asphalt Repairs Are Needed? Roads are exposed to harsh climate changes and require consistent maintenance. Rarely does a municipality have a crew available to respond immediately respond to an emergency situation. 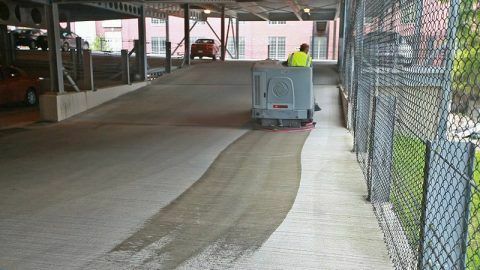 A professional pavement maintenance company can provide help when additional staff or machinery is needed. Having a partners ready to respond can provide not only the safety required for the community, but also the peace of mind knowing that resources are available when the unexpected occurs. 3. Is the Equipment for Asphalt Repairs Available and Up to Date? A professional inlet repair…done right and looking good. It is possible that a municipality does not have pavement maintenance equipment. Many municipalities work on very tight budgets and respond to pavement issues with a JIT (just in time) response. 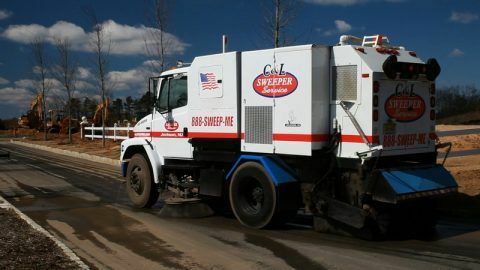 The equipment needed for even the most basic pavement maintenance is very expensive, and most municipalities are not in a position to buy that equipment for a JIT asphalt repair project. Also JIT labor may not have sufficient knowledge to address the root causes of a pavement issue. In these cases asphalt repairs could be unsatisfactory and temporary, leading to additional costs for re-work. Having professional partners with the right expertise and skills provide the quality of the work that is clean and professional. There is a quality saying that goes, “you can’t control what you don’t measure”. For more complex municipal asphalt repair project progress reports are essential for keeping track of the project tasks. 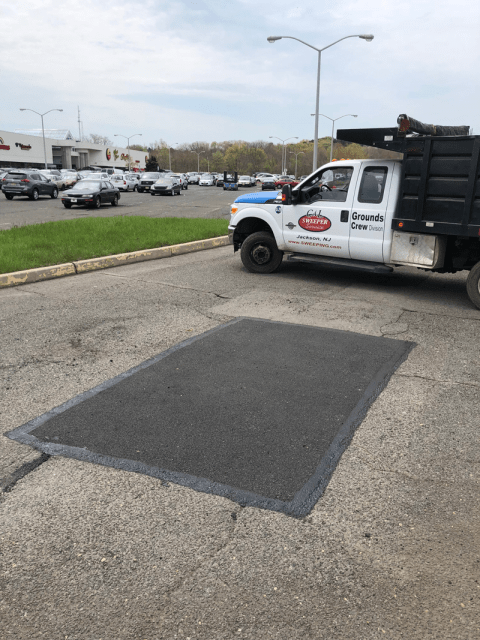 Having a professional partner who is not only skilled in asphalt repairs but project management as well provides the necessary monitoring, measurement and communication required for successful asphalt repairs. 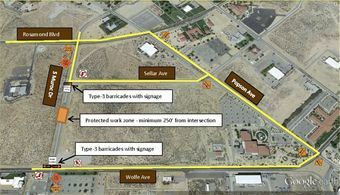 From project planning, equipment & personnel management, safety and and cleanup. consistent progress reports lead to faster completions and satisfactory results. Many municipalities find that they can maintain their their roads more effectively with our help. 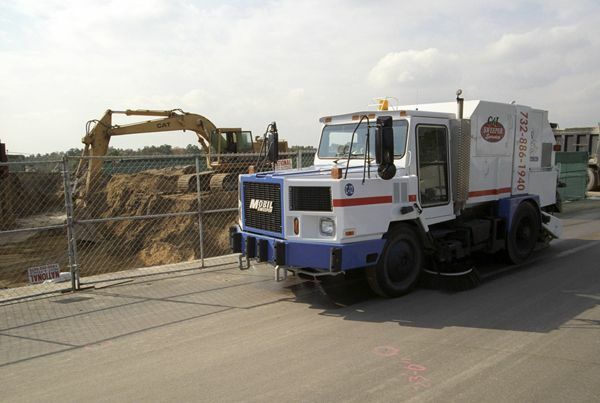 C & L Services have the resources for a variety of complex asphalt repairs. Most issues are addressed with municipal resources. 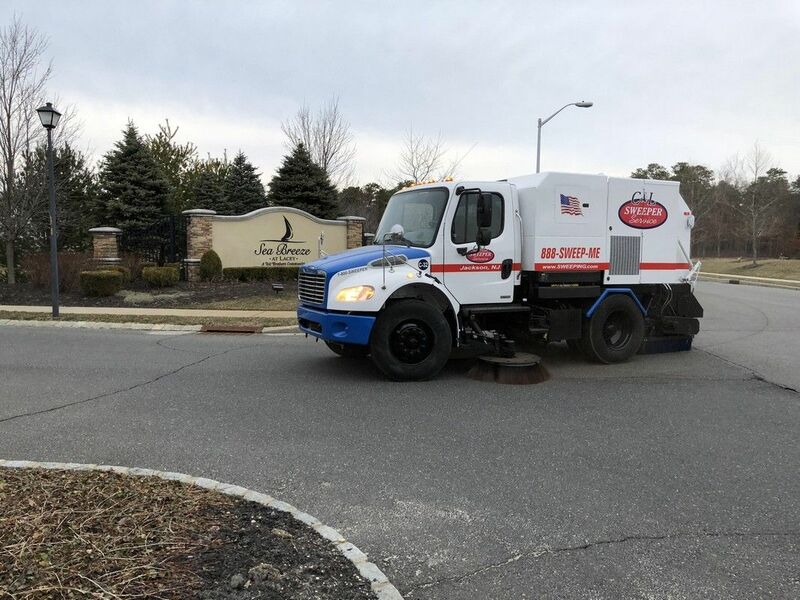 For the asphalt repair projects that require more resources, expertise (and perhaps urgency), C & L Service can solve most issues that municipalities face. Are you a smaller municipality? Do you need a trusted partner to help with potential asphalt repairs? If you’re in North Jersey, Contact us at 908-730-7884. 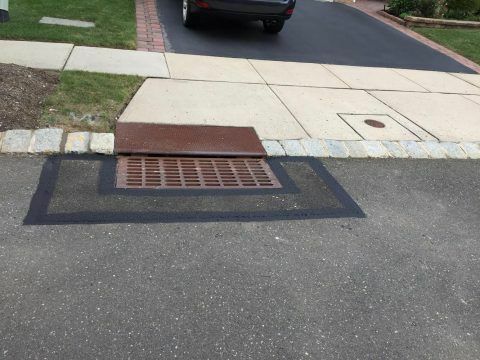 If you’re in Central New Jersey call us at 732-886-1940 to arrange for municipal asphalt repairs. Builders are known to be some of the most innovative businesses in the US. 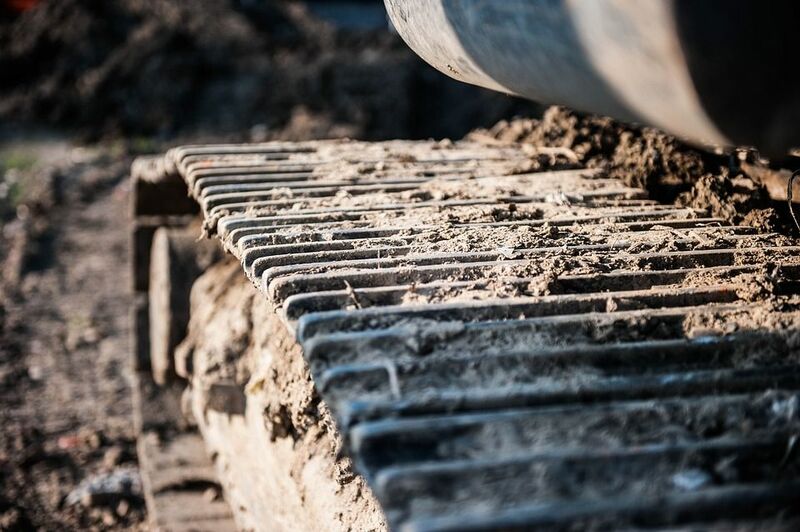 Although many of the processes and products that they use have been around for a long time, builders are always looking for new ways to do things better, provide better products with durable materials, and ultimately to satisfy their customers. 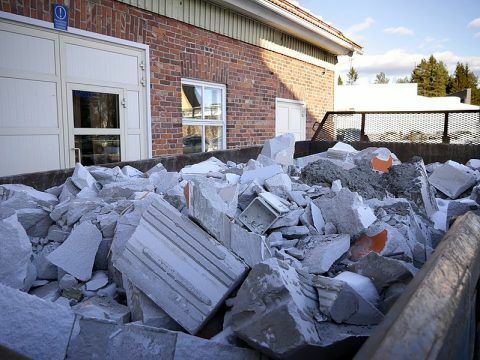 Builders spend quite a bit of time researching, testing, and evaluating building materials. They also seek out new processes, methodologies, and techniques to make the homes and buildings that they construct more efficient. One area that I have always felt didn’t receive the focus that it deserves from builders is evaluating the quality of the services that they received from their subcontractors. Certainly builders are discerning when it comes to expectations regarding the quality of the service they received, however many of their service providers (this includes electricians, carpenters, plumbers, and other service professionals) are vetted through word-of-mouth rather than actual monitoring measuring. 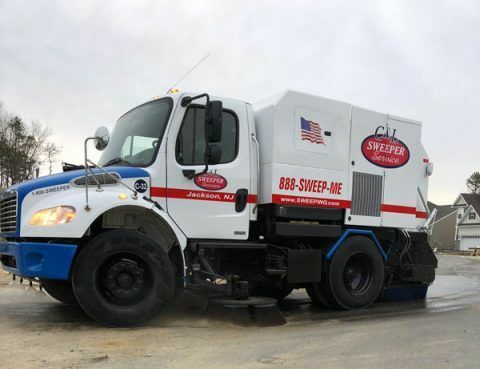 Now the focus of this article is street sweeping, However street sweeping is as important a service as any of the other subcontracted professionals. Responsiveness – Does the vendor respond back to inquiries or issues in a timely manner? Flexibility – can the vendor respond to unexpected situations? does the vendor have enough flexibility to adjust their processes and procedures to meet the needs of the client organization? Attention to detail – does the vendor provide their service with the level of detail that one would reasonably expect of a professional service? does the vendor avoid rookie mistakes? is error free Service delivery the norm or the exception? Ease of doing business – does the vendor have sufficient staff to communicate just in time? Or does communication require multiple redundant channels? does the vendor and their staff provide a basic degree of friendliness when interacting with staff of the organization. Courteousness of staff – is the staff courteous two members of the organization, the organization’s clients and the General Public? have there been Behavioral incidents which require apologies or a men’s on the part of the service provider? Follow-through – does the service provider meet their commitments? does a service provider renegotiate commitments that need to be adjusted? Suppliers, vendors, and service providers are critical to most organizations, unfortunately many organizations do a very poor job of measuring supplier performance. Often price is the only factor in deciding on a vendor when other measures are equally or perhaps more important. 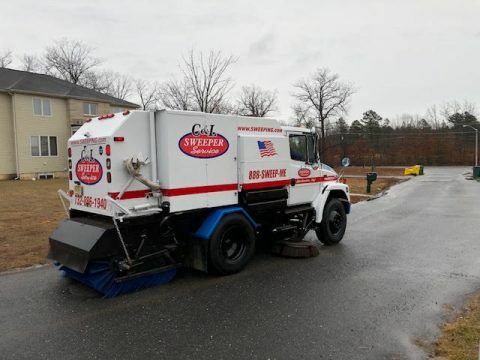 Although street sweeping may not be high on the list of critical services, service consumers are still entitled to excellent quality and professional service. If you’re a builder in North Jersey, Contact us at 908-730-7884. 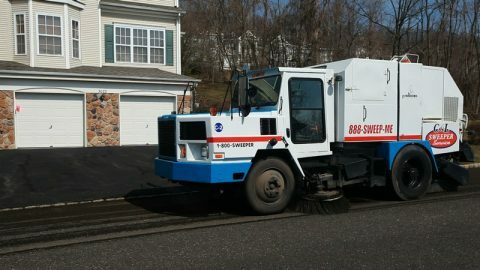 If you’re building in Central New Jersey call us at 732-886-1940 to arrange for street sweeping. Homeowners associations are between a rock and a hard place. The rock is the required maintenance and management fees. The hard place is trying to meet the high expectations the community residence hold. The balancing act of providing good property maintenance and effective property management, while holding down costs, requires skill, experience and a bit of ingenuity. For most Homeowners Associations and professional management companies, property maintenance represents the bulk of the maintenance fees…and these fees increase at the community ages. There are two issues that are challenges for most homeowners associations, management costs and maintenance costs. Many homeowners associations consistently focus on how to lower management costs. This usually leads to one of two things, either less effective service providers or reduced services. Ultimately the result is unhappy residents who are dissatisfied with the level of property maintenance…and complain about it. Rather than spending time and energy on squeezing blood from a stone (cost cutting can only go so far until it begins to affect the value of the homes in the community), we recommend that Homeowners Associations encourage management professionals to look for ways to generate revenue rather than reduce cost. Sell ads in the community newspaper – reach out to specific service providers who can benefit from a relationship with community and invite them to purchase low-cost ads. You would be surprised to discover how many residents actually have home based businesses could benefit from community based advertising. Sell banner ads in the website – Similar to the above suggestion and more consistent since billing can be automated. Reduce paper by using electronic channels – this is cost-cutting, however it’s a sensible one since electronic media is readily available and electronic payment systems are very reliable. Use property amenities for rentals – if the community has Clubhouse then providing the clubhouse for low maintenance groups such as corporate meetings or trainings can actually be very lucrative. Avoid party rentals because these types of events generate more “wear and tear” on the propeerty and require additional property maintenance. Share amenities with other communities – if the community has a pool or Clubhouse that’s underutilized, invite other nearby communities without these amenities to share them for a fee. Also charge additional fees to residents who over-utilized the amenities (additional guests, multiple grandchildren, etc.). Consolidate vendors – contract with vendors who can supply multiple services. For example a lawn service that also provides tree maintenance. A street sweeping company can also provide pavement, concrete and other property management services. Having separate contractors for each different type of property management also creates additional administrative burden. Review The Reserve Fund – and verify that the funds collected are neither too high nor too low for effective community property maintenance. Please note that we do not recommend reducing or eliminating Property Maintenance services as a way to manage costs. Certainly we think this is a bad idea because of the nature of our company, however we have found in our experience that deferred maintenance can result and very expensive special assessments. Very few things make Community residence more upset than the special assessment for emergency property maintenance services. Are you involved with a Homeowners Association Board? Would you like to discuss ways to improve your community’s property maintenance? If you’re in North Jersey, Contact us at 908-730-7884. If you’re in Central New Jersey call us at 732-886-1940 to arrange for HOA property maintenance. 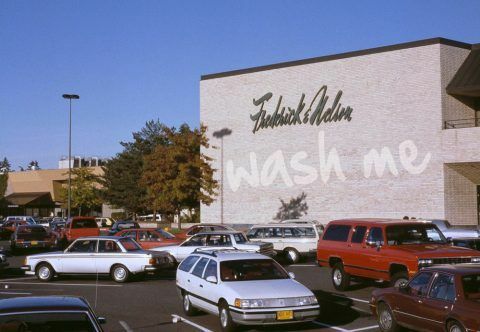 Property Maintenance for Shopping Centers – Are Bigger Shopping Centers Easier to Maintain? Getting a good ROI (return on investment) is usually a critical element when deciding whether to invest in a large or a small commercial property. Property maintenance is one of the key factors impacting Roi so many investors assume that larger properties actually result in lower maintenance costs. However larger properties also come with larger risks since they require larger tenants who need more space. Lose one of these larger tenants and ROI is negatively impacted. Smaller commercial properties and shopping centers usually have smaller maintenance budgets but on a percentage basis the cost of property maintenance is higher. Smaller commercial properties and shopping centers still need portering, sweeping, painting, regular maintenance and repair, as well as the occasional emergency (just like the larger properties). The frequency of maintenance and the need for experts is the same whether the property is big or small. The cost for property maintenance must be built into the operating income for the property. There are certain investor’s who will pass investing in a small property because of maintenance costs, but they may be missing out on an opportunity because they’re placing too much attention on only one aspect of the investment. 90% of most businesses in the United States have less than 20 employees. So the vast majority of the potential tenant market is looking for smaller space to operate.. Larger commercial properties look good in the spreadsheet’s bottom line, but smaller actually provides better opportunities and less risk. Because there is a much larger pool of tennents, smaller stores and office spaces are easier to rent. Small companies are also generally easier to communicate with since the business owners are more accessable. Larger tenants have larger corporate entities to deal with. Also, if the larger organization decides to close a branch or division then this can leave a costly vacancy in your property. This vacancy can put a hole in the bottom line through a lengthy vacancy. Finding a larger tenant for larger space is also a challenge because the tenant pool is smaller. The property still needs to be maintained even if a store or office is vacant. Revenue stops but the property maintenance costs continue. Shopping Center Property Maintenance – Large or Small? This is why in our opinion when it comes to shopping centers or office space, smaller is better. Do you have a shopping center, office space or commercial property that needs expert property maintenance? 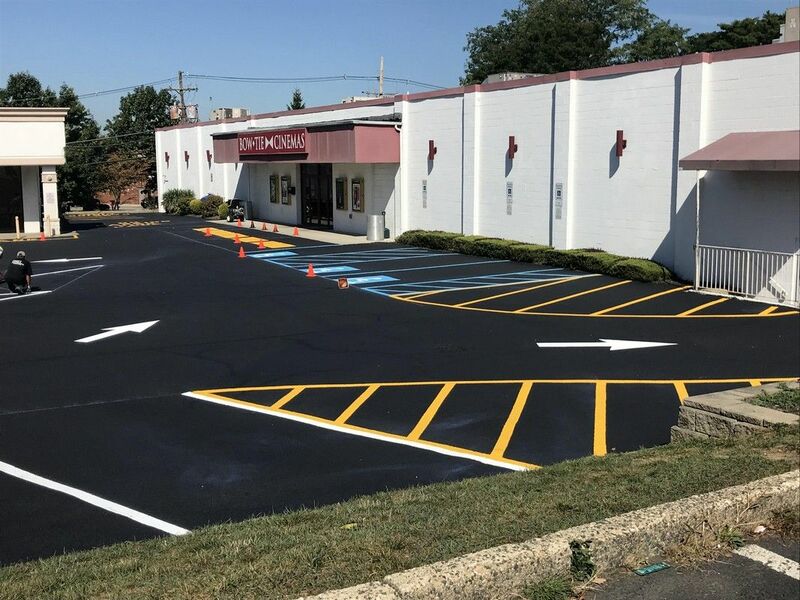 Our services include parking lot sweeping, portering, pavement maintenance, seal coating, and line striping. We can give your property the attention needs and keep your ROI stable. If you’re in North Jersey, Contact us at 908-730-7884. If you’re in Central New Jersey call us at 732-886-1940 to arrange for commercial property maintenance.